Get the local well drilling cost for the Fraser Valley, Vancouver Island and the Gulf Islands. Our local well drillers are experts in their communities providing quality water well drilling services and detailed estimates that lay-out all the local costs to drill a well. While seeking the local well drilling cost for the Fraser Valley, Vancouver Island or the Gulf Islands you may also require other local water well information or want to search for well drilling reports, well logs or other data of water wells in your neighborhood. The best water well resource database is managed by the BC Ministry of Environment. The British Columbia WELLS Database BC is available for public use without cost to research and download local water well records, well logs and other relevant local water well data. Well Drilling Fraser Valley service area includes Abbotsford, Aldergrove, Chilliwack, Clearbrook, Cloverdale, Harrison Lake, Hope, Ladner, Langley, Maple Ridge, Mission, Pitt Meadows, Richmond, Surrey, Tsawwassen, and White Rock and surrounding communities. We are happy to provide you with a local well drilling cost for the drilling in the Fraser Valley. 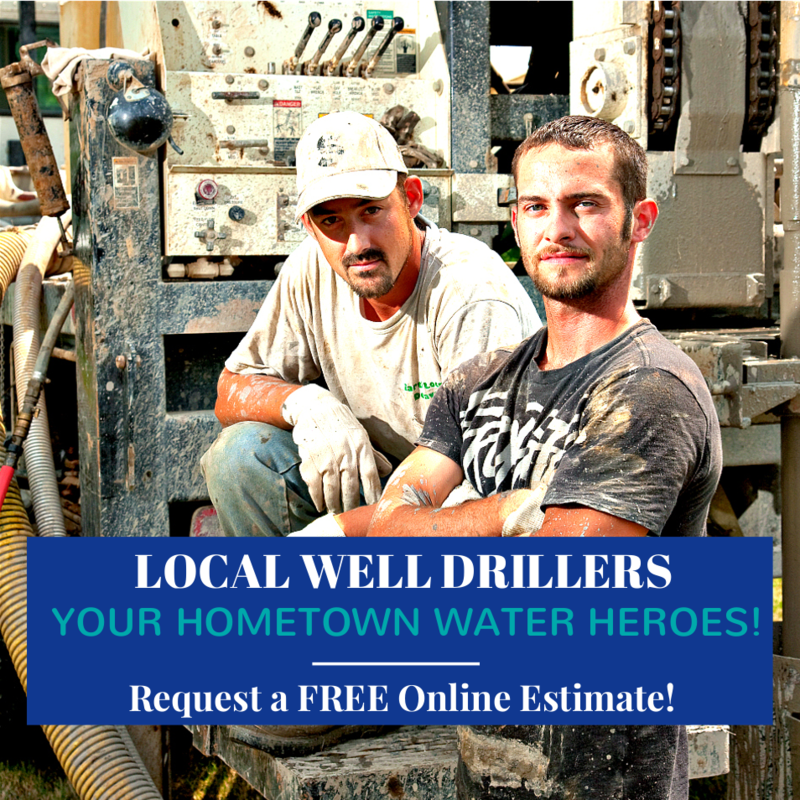 Call us today or request FREE online well drilling cost estimate to drill a new well in the Fraser Valley. Our Fraser Valley well drillers are fully equipped to handle a broad scope of local water well services. Well Drilling Vancouver Island service area includes Brentwood Bay, Campbell River, Cedar, Cobble Hill, Colwood, Cowichan Valley, Duncan, Errington, Langford, Nanaimo, Parksville, Qualicum Beach, Port Alberni, Sooke, Sidney, Victoria, Yellow Point and neighboring island communities. Our local Vancouver Island well drillers provide expert, reliable well drilling services through-out the island. We're here to explain the well drilling cost and guide you through the water well drilling process. We are equipped with extensive Vancouver Island well drilling knowledge of the local island geology and have what it takes to complete successful producing water wells on the island year after year. Give us a call or request a FREE detailed well drilling estimate for the cost to drill a well on Vancouver Island. Well Drilling Gulf Islands includes water well drilling services for the Pender Islands, Gabriola Island, Galiano Island, Mayne Island, Saturna Island and Salt Spring Island. We are the regular local well drillers for the Gulf Islands. We can make numerous well drilling trips a year to each one of the main Gulf Islands. We transport well drilling rigs, drilling equipment and the drilling crew to a number of the Gulf Islands keeping the water well drilling costs affordable for the the local island property owners as we are generally drilling several wells per trip. The cost to drill a well will vary from one island to another. If you would like to know the complete well drilling cost to drill a well on one of the Gulf Islands please give us a call of request a FREE detailed online well drilling cost estimate. Get the Facts Before Drilling a Water Well! The Well Drilling Cost may differ considerably between well drilling contractors. Most water well drilling companies will be prepared to put their well drilling cost in writing. The mistake that many property owners make is assuming the drilling price per foot is the actual cost of drilling a water well, it's not. Read our well drilling report for much more in depth water well information. There are many variables and not understanding this information upfront before hiring a water well drilling contractor may leave you with an invoice higher than you had anticipated. Do your homework prior to hiring a drilling rig and crew, be aware of what's involved in the drilling and installation of new water well systems and the additional costs that may be involved. A water well drilling quote will break down all the costs to drill a well and additional installation costs that may be expected... the final costs of your drilled well may still differ from the original estimate but at least you'll have a very good guideline. A general overview of the cost to drill a well on a written quote will help prepare most property owners but, it's the drilling the well that will actually determine the true cost. When working with a local driller they're familiar with an area and that's very important, it's just one more thing that contributes to a good local well drilling experience. People often feel a little vulnerable when the water well drilling rig shows up, it's completely understandable! Drilling for water is certainly not something that most people do very often and it can be very nerve wracking for some. With 25 years experience in the groundwater industry and working with many well drillers in the province we definitely have a few water well drilling tips to offer you. Take a few moments to look around the website and download our full well drilling report, you'll be glad you did!